Jouni Ahola is a seasoned consultant who knows the ins and outs of Creo software products. The products are used for 3D design and modeling. Ahola has trained so many people to master the 3D design for manufacturing that he knows the key tasks everyone has to learn. Now, he has authored a series of guide books for Creo Parametric 3D modeling software. 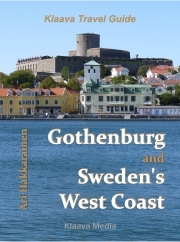 The book series comprises four parts. Each book can be studied independently. The books are as follows. 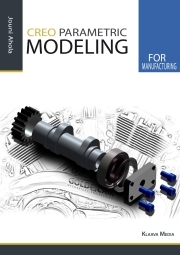 Creo Parametric Modeling for Manufacturing, ISBN 978-952-5901-87-0. Creo Parametric Milling, ISBN 978-952-5901-88-7. The book focuses on milling machining with vertical machining center, as well as basic milling and 3-axis surface milling. Creo Parametric Basic Turning, ISBN 978-952-5901-89-4. The book covers basic turning machining and slant type lathe with ZX-coordinate system. Creo Parametric Mill-Turn, ISBN 978-952-5901-90-0. 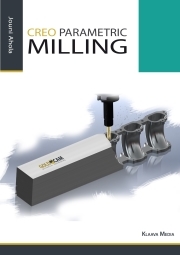 The book guides the reader through turning machining with Live Tools and combined milling and turning manufacturing. More information, pricing and availability here. 2014-03-14 by Klaava in 3D. Tags 3D, Creo, design, guide, handbook, modeling, Parametric, tutorial.